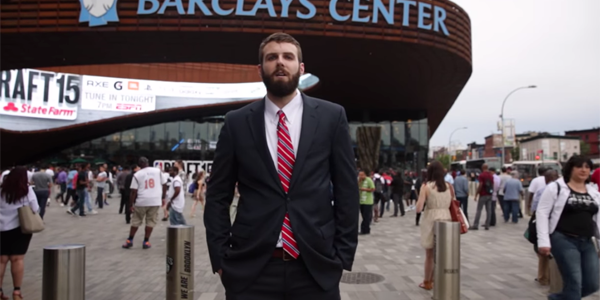 A 6’10” Guy Put on a Suit, Went to NYC & Pretended He Was Drafted. TOO EASY! Please \"LIKE\" Us for More! Every year, millions of people tune into the NBA Draft to see which highly-touted players the league’s most pathetic teams will recruit in the hopes of turning their franchises around, and it’s inevitable everyone will laugh at the Knicks for going with the worst options. 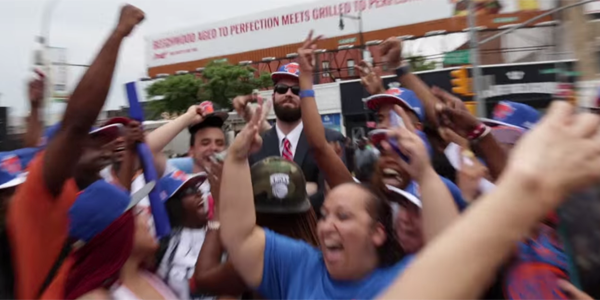 In the 2015 NBA draft, some of the best young basketball players in the country gathered at Barclays Center in Brooklyn, hoping to hear NBA Commissioner Adam Silver say their names and invite them to the stage for handshakes, snapback hats and lives that will never be the same. 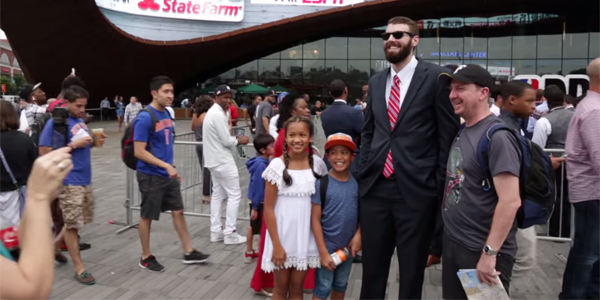 Elite Daily Humor Writer Connor Toole, is almost 7 feet tall, has an ill-fitting suit and a beard he didn’t trim enough, so we figured he’d fit right in with the players nervously awaiting their fates. To test this theory, he braved the 15-minute walk from his apartment to the arena to see if he could convince people he was part of this class of untapped potential. The Utah Jazz may not have actually used their second-round pick to take him 42nd in the draft, but that’s the lie we told as many people as possible in New York City last night. 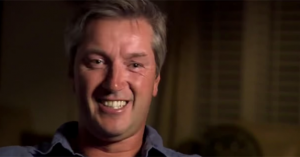 Most of them believed him – and the results are insane. 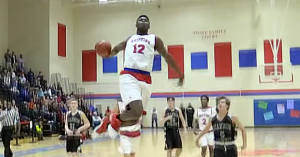 16 Year Old Zion Williamson Might Be The Best High School Dunker I’ve Ever Seen. Woah. 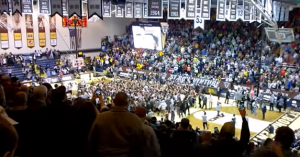 A College Team Thought They’d Won But an Early Court Rush Cost Them The Game! 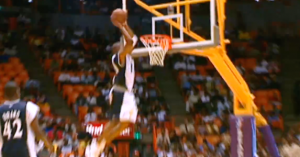 40 UNSEEN Vince Carter Dunks! NBA Went Deep in the Vault for These. Wow. Proof Larry Bird Was a True Savage. 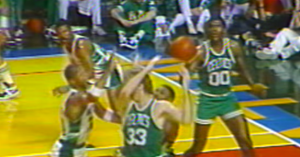 The Best Larry Bird Mixtape on The Internet Just Dropped! 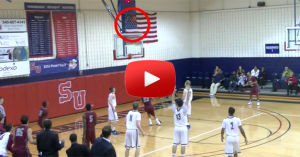 College Player Dribbles Out Clock Mistakenly Thinking His Team Were Ahead. Wow. 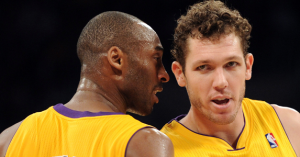 Rookie Luke Walton Once Showed Up to Practice Hungover, So Kobe Dropped 70 on Him. 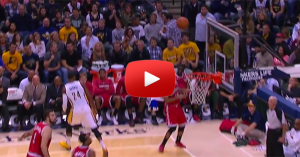 The NBA Just Released the Greatest Allen Iverson Mixtape Of All Time. Not Even Close. 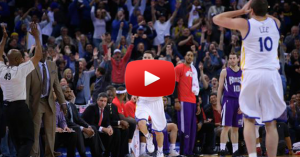 Yes, 4 Minutes of Steph Curry Getting Crossed is As Good as It Sounds. 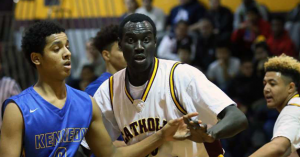 They Thought He Was a 17 Year Old 6’9″ “NBA Prospect”. Turns Out He Was a 29 Year Old Man. 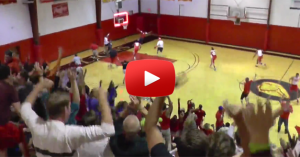 A Player Accidentally Scored on His Own Basket at Buzzer to Cost Team Playoff Game. 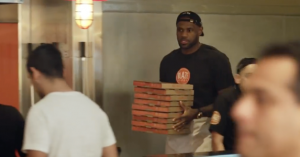 LeBron James Went Undercover at a Pizza Place. You Won’t Believe Who People Thought He Was. 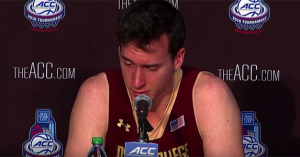 Reporters Asked a Boston College Senior What He Will Miss Most…You Won’t Believe His Emotional Answer. LOL. 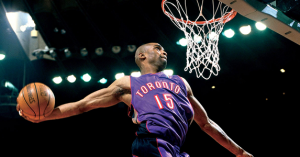 This Vince Carter Toronto Raptors Mixtape Will Break the Internet. OMFG. 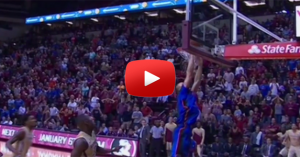 Jordan Kilganon Has Just Done ANOTHER Never Before Seen Dunk. Unreal. 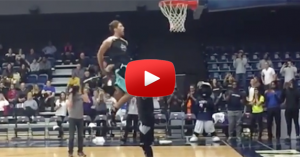 The NBA Has Just Put Together the Best NBA Dunk Contest Mixtape on YouTube And It’s Not Even Close. 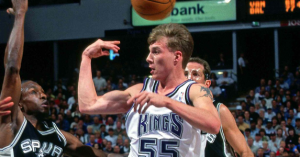 The NBA Just Released the Best Jason ‘White Chocolate’ Williams Mixtape I’ve Seen – SO Many Rare Clips! 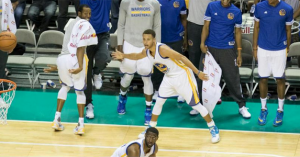 Just When You Thought Steph Curry Couldn’t Get Any More Ridiculous…He Did This. Jordan Kilganon Just Did the Best Dunk I Have Ever Seen. Period. 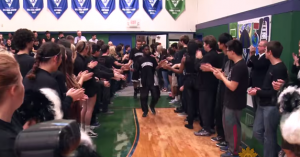 No-One Has Seen Full Footage of Dajuan Wagner’s 100 Point Game in High School…Until Now. 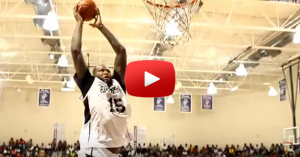 Two NBA Stars Suited Up in a Celebrity Basketball Game & Combined for 176 Points! No, That is Not a Typo. A Kid Didn’t Want Join in the Basketball Game, So Didn’t. Fucks Given = Zero. 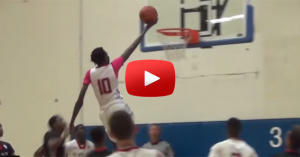 Manute Bol’s Son is 6’11” with Guard Skills & Just 15 Years Old – He Gonna Be a PROBLEM! 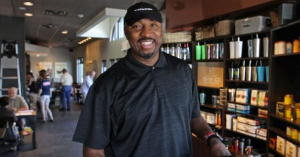 This Former NBA All-Star Who Earned Over $100million is Now Working in Starbucks. Yes, You Read That Right. 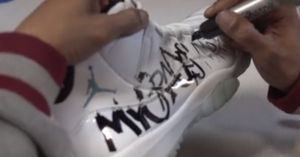 His Son Brought Home a Bad Report Card, So He Taught Him A Lesson Using His Jordans He Won’t Forget. 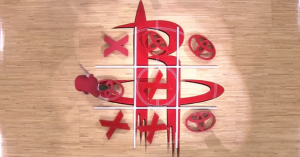 They Pulled Out Two Fans to Play Tic-Tac-Toe at Halftime – But Weren’t Prepared for What Would Unravel. LOL. I Forgot How Important Footwork Was Until I Watched This Video. FUNDAMENTALS FIRST! A Lot of People Hate on Russell Westbrook, But After You See What He Did for This Single Mom You Can Only Respect Him. 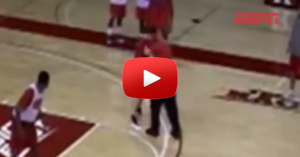 This College Basketball Player Didn’t Realise the Mic Was Still On in a Press Conference. What He Said Was Hilarious! lol. Down 1 in an 8th Grade Basketball Game, He Threw Up a Potential Game Winner But NOBODY Could’ve Predicted What Would Happen! These Heroic Players Left the Court Midgame To Confront Sick Fans Bullying A Cheerleader with Down Syndrome. Respect. 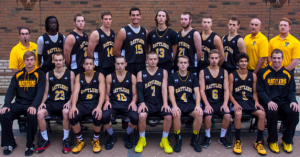 A Basketball Team Refused To Play Against Another Team For The Most Incredible Reason. 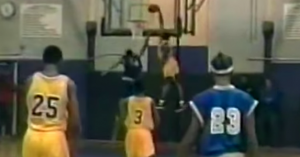 The 14 Worst Dunk Contest Fails Of All Time. I Still Can’t Believe #9 Happened! 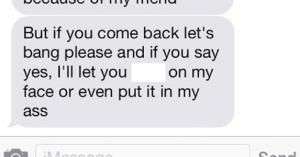 You Won’t Believe This Basketball Player’s Surname That is Causing a Stir. Hint: It Begins With ‘F’! The Things People Will Do to Save Face – You Won’t Believe How Far These March Madness “Fans” Took It! Penny Hardaway Was an NBA Superstar But You Won’t Believe What He’s Doing Now. So Much Respect. 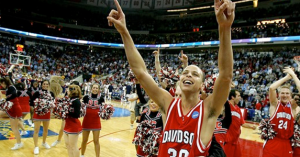 The 2008 NCAA Tournament Will Forever Be Remembered as The Coming Out Party of Steph Curry. His Story is Incredible. MUST WATCH! 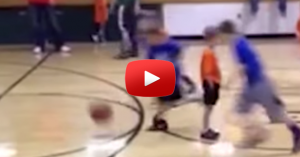 This Might Just Be the Best Basketball Fails Compilation We’ve Ever Seen. LMAO! A Kid Hit Game Winner in the NCAA Tournament, But The Best Thing About it Was What Happened to His Dad Coaching on the Sidelines! AMAZING. 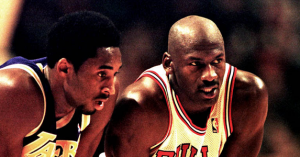 “Never Talk to Black Jesus Like That Again” – Reggie Miller Shares What Happened When He Trash Talked Michael Jordan as a Rookie! LOL. 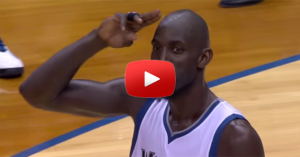 The Most Amazing Moment of Kevin Garnett’s Return to Minnesota Went Completely Unnoticed. Until Now. This is AWESOME! A Freshman Just Scored 30 Points in 4 Minutes & 38 Seconds! This Has to Be One of Greatest Individual Scoring Efforts EVER! 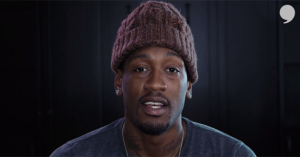 Larry Sanders Had a Four-Year $44million NBA Contract, But Walked Away – Now He Reveals Why. Ultimate RESPECT! 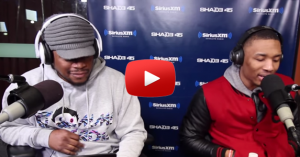 A Lot of People Ask Who’s the Best Rapper in the NBA, But Damian Lillard Just SHUT IT DOWN! This is SICK!! 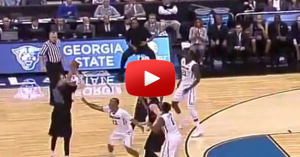 The Ball Went Out of Bounds Into the Coach’s Hands, But Nobody Was Ready for What Happened Next! 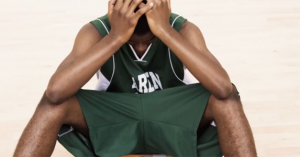 Here’s a Reality Check If You’re Aiming for a Basketball Scholarship. 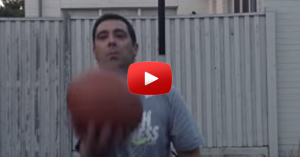 EVERY Aspiring Basketball Player NEEDS to Watch This! 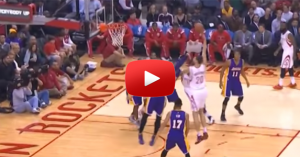 They Say the True Big Man is Dead, But Donatas Motiejūnas is Proving Otherwise. This is Just Beautiful to Watch. I Just Watched Klay Thompson Drop an NBA Record 37 Points in a Quarter Without Missing. OMFG!! One of Greatest Performances EVER! 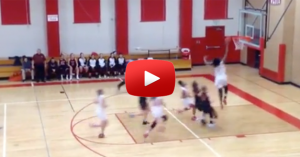 This No Look Over the Head Hail Mary Has to Be One of the Luckiest Game Winning Buzzer Beaters I’ve Ever Seen! WOW. 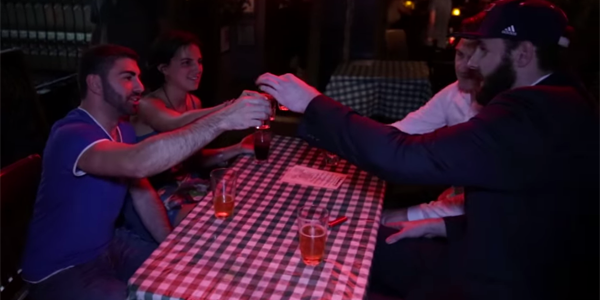 Duke Have Just Released a Video That Will Give You Chills. 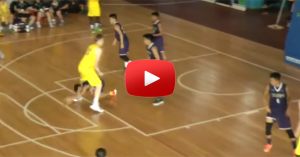 You HAVE to Watch This – Goosebumps! 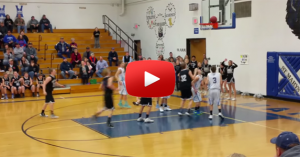 This Player Scored The Game Winning Basket at the Buzzer…On His Own Basket For the Other Team! Wowwww. 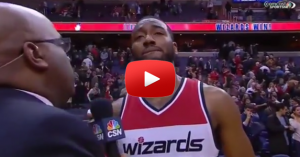 John Wall Completely Broke Down in a Post-Game Interview After Losing His 6 Year Old Friend. This Brought a Tear to My Eye. 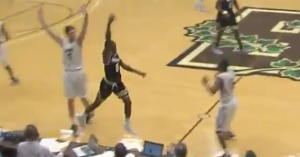 Down 14 with Seconds Left, This Portland State Player Shook Hands & Acted Like He Was Going to Let the Clock Run Out. He Lied. 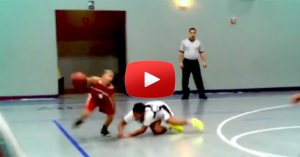 A Tiny Basketball Player Actually Ran Under an Opponent’s Legs to Play Defense. And it Worked. 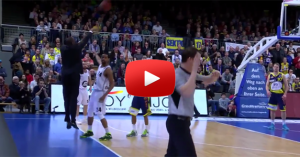 He Had a Free Throw to Put Them Up Three But Intentionally Missed It, NEVER Expecting What Would Happen Next! OMG. 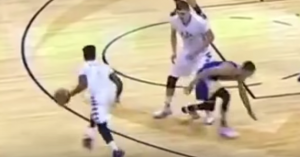 A Referee Threw It Up for Tip Like He Always Does…But This Time Got Taken OUT By An Elbow. The Look On His Face is Chilling. Ever Wondered How Easy It Is to Get Girls as a College Basketball Player? Now We Have the Proof. OMG! 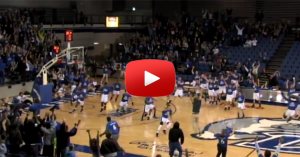 “NO WAY!” – NCAA D3 Team Has Luckiest Bounce Ever to Win on Buzzer! 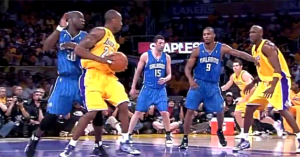 12 NBA Players Who Celebrated BEFORE The Play Was Complete – LeBron Called #8 SO Early! Now THIS is Confidence. 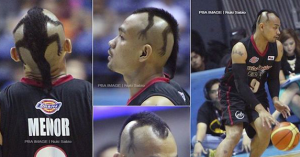 This Will Be the Most Insane Haircut You Will Ever See on a Basketball Court. By Far. 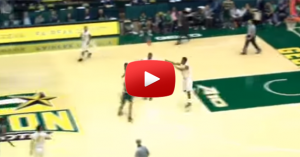 This is One of the Craziest Endings to a Game I’ve Seen – Four Straight Threes in 24 Seconds! 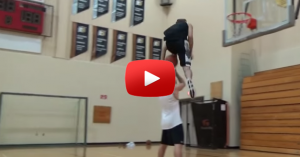 It’s 2014 & This Guy Just Threw Down EIGHT Dunks That Have NEVER Been Done Before! WTF?! 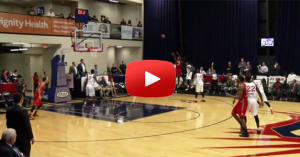 His Mom Went to Watch His NBA Debut But When He Threw Down a HUGE Poster Dunk She Missed It! LOL. Another Student Who Can’t Play Basketball Hit a Series of Incredible Shots to Win a Truck! Unreal. 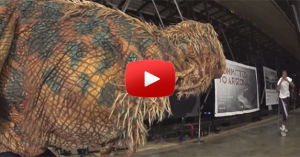 An NBA Player Used a Dinosaur To Scare His Teammates as They Arrived for Practice. The Results? HILARIOUS! 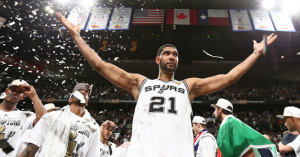 You Won’t Believe What These NBA Players Said on Twitter Before it Blew Up. LOL! He Had Never Played Basketball Before & Had a Broken Hand, But Had the Chance to Win $10,000. You WILL NOT Believe What Happened Next!! 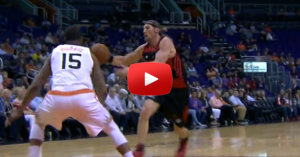 23 of The Greatest Shammgod Crossovers EVER – Is this The Sickest Move Of All Time?! They Put the Best Dunker in the World in a Spider-Man Outfit…The Results Will BLOW YOUR MIND!! 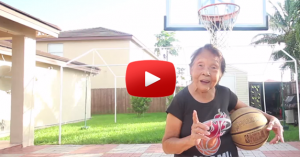 It Was Her 90th Birthday Wish to Play Dwyane Wade One on One…and He Made it Come True! 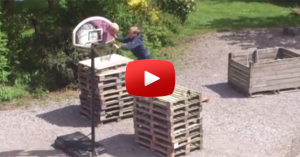 He Tried to Save the Ball Out of Bounds…You Won’t Believe What Happened Next! OMFG! Someone Dug Up Rare Footage of Kobe in the Philippines in 1998…Wait ‘Til You See The Swagger & Bounce He Had Back Then! 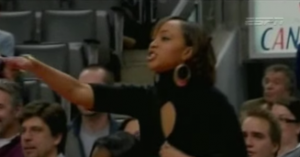 A Basketball Coach Crossed the Line Between What is Acceptable and What is Not. This is WAY Too Far. 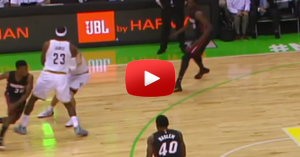 LeBron James Momentarily Forgot Which Team He Was On & Set a Screen on His Own Teammate! LOL! 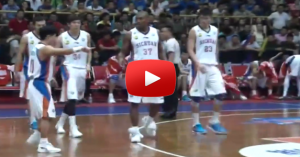 These Are the Most Ridiculous Sneakers Ever Worn in a Pro Basketball Game…But He Hit 4 Threes in Six Minutes! 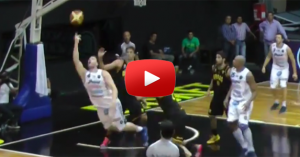 An Argentine Player Had One of the Smoothest Layups I’ve Ever Seen Last Night. Wow. 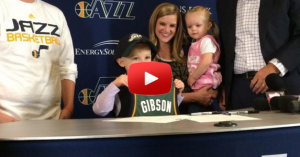 A 5 Year Old Boy Had Leukemia – What the Utah Jazz Did for Him Was So Classy! LOVE This. 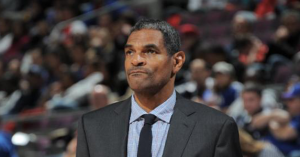 “Mo Cheeks Was Just a D*ck” – An NBA Player Tells Story of How He Handled a Coach He Hated. Revenge is Sweet! 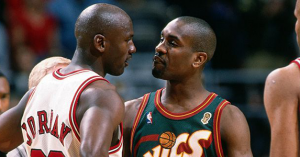 17 Crazy Gary Payton Trash Talking Stories – You Won’t Believe What He Once Said to an NBA Head Coach! If Anyone Ever Tries To Tell Me Vince Carter Isn’t the Greatest Dunker of All Time, I Show Them This Video. 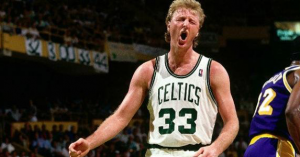 33 Incredible Larry Bird Trash Talk Stories That Prove Why He’s The Best Trash Talker of All Time! 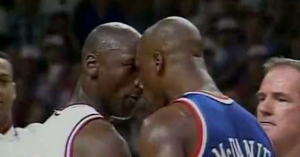 19 Awesome Stories About Michael Jordan’s Trash Talking – #15 is Unbelievable! 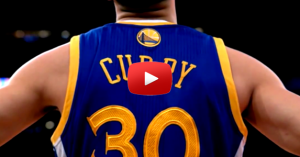 I Wasn’t Sure Steph Curry Was the Greatest Shooter of All Time, But This Video Convinced Me. WOW. 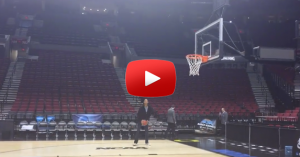 Ever Wondered What Would Happen If You Blocked Michael Jordan’s Shot? Rodman Did & Soon Found Out. LOL. 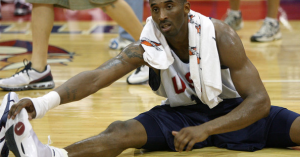 Kobe Bryant Even Showed the Killer Instinct in High School – Watch Him TAKE OVER as a 16 Year Old! 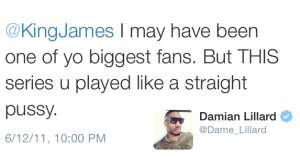 Chris Bosh’s Cousin & Girlfriend Once Heckled LeBron James From Their Courtside Seats. He Then Went OFF! 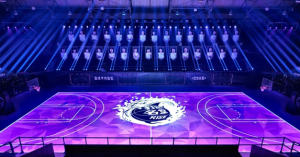 The State-of-The-Art Basketball Court They Built for Kobe’s Tour in China is SICK! 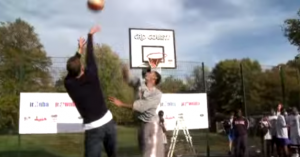 Devin Harris Thought He Would Have it Easy Going 1 on 1 Against an English Guy Wearing Jeans & a Pullover. You Won’t Believe What Happened Next! He Was 1 Rebound Away From A Triple Double So Purposely Missed a Shot on His Own Basket. Wooooow. 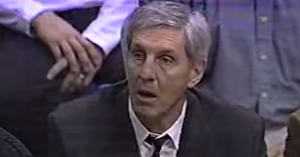 Jerry Sloan Was in Disbelief!